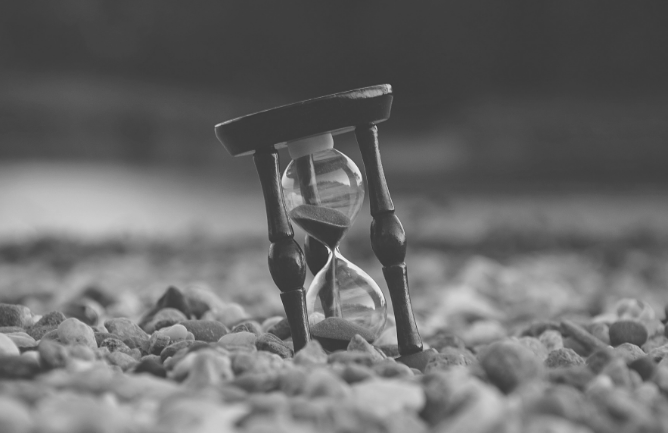 Today’s Sales Insight post is on an area that I constantly witness sales people struggle with and something that sales managers and leaders need to address, that of effective time management and where we spend our time each day. It is no surprise that if you get it right, you will see a huge increase in your sales earnings and results, of up to 50%. I’d like to start with an analogy around the evolution of the typical sales person, or the typical sales organisation. As far as sales focus goes, individuals and organisations tend to start with a very high focus on sales and then, over time, other non-sales focused activities get in the way. When we’re at our best, spending most of our time on sales, we’re like eagles; focused, agile, at the peak of fitness and with the lift that comes from that enormous wingspan. But over time, what typically happens, is that we evolve into Dodos; bulky, awkward, easily distracted and, evolutionarily speaking; destined for extinction. Before you know it, the sales person is doing barely any selling. It is inevitable then that this reduced sales effort begins to impact negatively on sales results, as we move further along this evolutionary trajectory. Revenue Generation – The time you spend on activities that actually generate revenue. Let’s use green to highlight this type of activity. Admin – The time you spend doing Admin. We’ll use red for this type of activity, because admin always carries a cost to both you as an individual and the organisation. Whilst some of it may be necessary, much of will not be and, a bit like the weeds in your garden, it has a way of becoming overgrown and out of control. Growth – The final type of activity is growth. These are those things we do, like prospecting and networking, that may not generate revenue today, this week, or even this month, but they allow us to more effectively generate revenue later. Let’s use yellow to highlight growth. Again, if I think of the typical sales person or organisation, I might see a spread of effort, with maybe 40% of time being spent on revenue generating, another 40% being spent on admin and 20% on growth. Are you really only spending 2 days a week selling? What that equates to is just two days each week being spent on revenue generating, one day on growth and two whole days being spent on a variety of admin tasks, attending meetings, etc. Just imagine if we consciously changed our calendar, so that we’re able to spend 60% of our time generating revenue, 20% of our time generating growth and just 20% on admin. As sales professionals looking to improve performance, it won’t have escaped you that this shift represents a 50% increase in the amount of time that you’re focused on generating revenue. If that follows through to a 50% increase in sales results then we’d all be happy, both as individual sales people and as sales leaders in an organisation. There is a way to very simply look at removing the amount of admin and that’s to go through a three-step process. Remove – The first step is to look at everything you’re doing and ask ‘what can I remove?’ because you’re doing it just because someone else has asked you to, or just through habit. Improve – The second step is ‘what can I improve?’ what I mean by that is how could you make it slicker, how could you use technology to reduce the amount of time spent on those admin tasks? Re-Allocate – The third step is ‘could I re-allocate any of that admin to other people in the organisation, who may be more appropriately positioned than me to complete these tasks?’ Given that admin always has a cost associated with it, re-allocating it to the lowest cost and most effective place, not only increases the amount of time we’re able to spend revenue generating but also delivers significant improvements to the business as a whole. Don’t just read this, put it into action. Dig out your calendar and get ruthless with your time, then email me to let me know how much your sales have increased as a result next month. If you’d like to chat a bit more about this please contact me at steve@salestrong.co.uk. Enjoyed this post? Take a look at Understanding The Three Ps That Block Effective Prospecting.